The region of Appalachia has a longstanding history of cultural, social, and political intersectionalities that are often overlooked by mainstream culture but relevant in the preservation and (re)membering of Appalachian culture for past, present, and future generations. This panel will focus on the folkloric arts and alternative pedagogies and/or teaching practices relevant to the (re)invention and (re)membrance for Appalachian identity for people of color. Appalachian history is one that is both exoticized and alienated in the American imagination. People of color are often omitted from idealized notions of Appalachian membership and approaches to culturally relevant and inclusive pedagogies applied to other venues may serve to benefit all learners who have a vested interest in/familial connection to Appalachia. 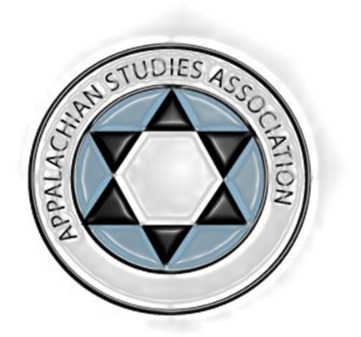 This paper will speak to those individuals who have a connection with Appalachia but have internalized popularized forms of disassociation with Appalachia—forgetting the Region’s rich cultures and histories as well as their collective and individual contributions. (Re)cognizing and (re)claiming contemporary and historical notions of Appalachian identity will be juxtaposed against current exclusionary teaching methods by incorporating what Cynthia B. Dillard refers to as "Endarkened feminisms, spirituality, and the sacred nature of research and teaching" as a way to better understand African ascendants in Appalachia and other populations of color as contributors and producers (and reproducers) of Appalachian culture and community. Ashley Love is currently a doctoral student in the Department of Educational Theory and Practice at the University of Georgia and former Master's student at The Ohio University in Athens, Ohio. Her current work includes (re)cognition and (re)envisioning spatiality and belonging for people of color using a post-feminist, post-post-racial, and post-colonial theoretical frameworks.